When the American Heart Association and American Stroke Association updated their ischemic stroke guidelines to expand the treatment window from six to up to 24 hours,[i] it did more than offer hope to the millions who may be at a heightened risk for this debilitating occurrence. Cardiologists, neurologists and radiologists involved in stroke care say it also means treatment will be based on stroke size and character rather than a strict time cutoff, creating both a challenge and an opportunity. When a stroke is suspected or has occurred, fast, high-quality CT and MRI scans become even more important. Enter an AI stroke application being developed[ii] by Partners Healthcare (PHS) and GE Healthcare that the creators say has the potential to help simplify and organize images for stroke detection and treatment in situations where “time = brain.” The data feeding the algorithm being developed comes from a trove of one million images and 22,000 patient studies aggregated and annotated by more than 10 top clinicians and researchers at PHS. Additionally, the teams plan to leverage seven healthcare institutions across the globe to validate the Boston-originated app in development, so that it could be used by clinicians to help treat patients no matter where they live in the world. Ensuring AI is created and validated with precision is especially important when it comes to stroke. Every 40 seconds, someone in the US has a stroke. The resulting cost of treatment, medicine and missed work days totals $34 billion. [iii] Many localities in the US are unable to provide optimal detection and treatment of stroke due to lack of standardized imaging protocols, gaps in expertise and delays in time and reporting. These statistics demonstrate that the problem is too great to not get AI right. They also demonstrate why those one million images, 22,000 patient studies and seven validation partners really matter. According to Bigelow, successful AI development in healthcare is both a science and an art. This week at the World Medical Innovation Forum (WMIF) – a global gathering of more than 1,700 senior healthcare leaders established to respond to the intensifying transformation of healthcare – GE Healthcare CEO Kieran Murphy reinforced both the science and the art side of the equation. The company announced that its Edison intelligence platform will integrate with the American College of Radiology AI-LAB, which will allow ACR members and other radiology professionals to more easily develop and seamlessly deploy their algorithms across hospitals and research centers nationally. Additionally, speaking on a panel, Murphy shared the company’s guiding principles for AI development and deployment. 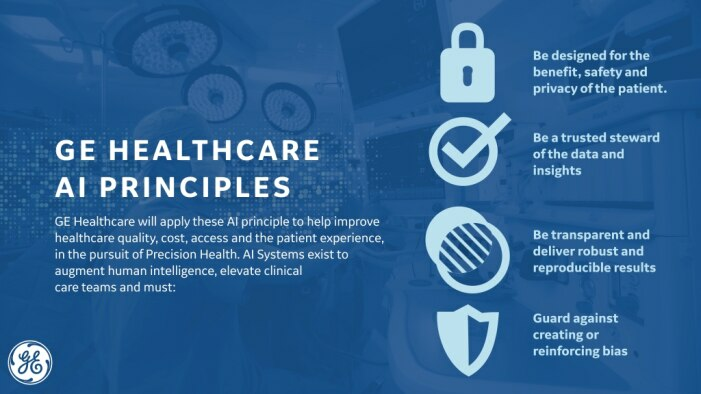 GE Healthcare isn’t alone in publicly committing to ethical AI, but it is one of the first healthcare companies to put forth such guidelines. Thus far, traditional, non-healthcare technology companies have dominated the discussion. Asked why principles like these are important to highlight now, especially given that healthcare has always been driven by ethics, Dr. James A. 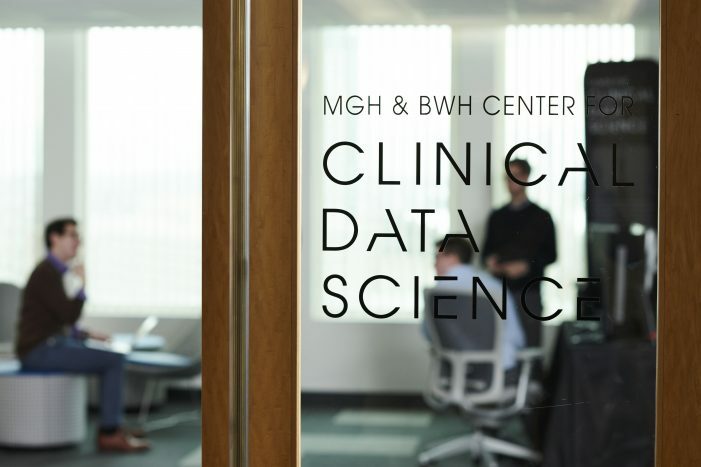 Brink, Radiologist-in-Chief at Massachusetts General Hospital, said that the increasingly integral role of AI makes ethics relevant in new ways to the industry.